Camping is a great way rejuvenate and bring friends and family closer together. It’s also a great way to reconnect with nature. Whether it’s a weekend getaway or an extended venture, camping recharges your batteries. With so many campsites designated for outdoor fun, choosing the perfect spot has never been easier. There are countless open spaces and national parks ready to be your next stomping grounds. You can choose whether you want a communal site or a more secluded one. Many are equipped with barbecues and picnic tables, as well as level ground to pitch a tent. There’s also a ton of hiking trails and recreational activities depending on the site you choose. Here’s a great guide to help you choose a campsite wisely while leaving a small footprint. Being prepared for your camping trip will make things more enjoyable and safer for everyone. We’re going to walk you through the basic checklists of what you’ll want to have with you. We’ve prepared these lists for beginning campers, though seasoned veterans might find it a useful reminder. Keep in mind, these lists are not exhaustive. There is an endless array of useful gear you could bring with you. We’ve arranged our list in a hierarchy of importance. The things you don’t want to leave behind we’ve put at the top of the list as “Essentials”. The more creature comfort items, we’ve pushed to a lower rank of importance. 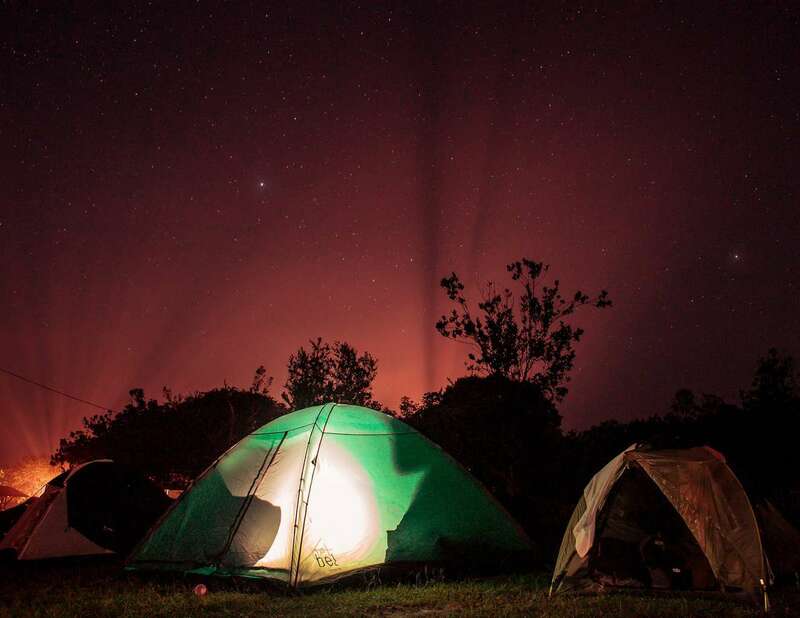 Camping is all about paring things down and connecting with the wilderness. The idea is not to bring the comfort of your living room into the woods. That said, you don’t want to reenact an episode of Survivor on your first family trip either. We recommend starting with the “Essentials” list. Then, peruse the “Less Essential” list to see what might make your trip more enjoyable. And, if you insist in going in style, the “Creature Comforts” list will help to pamper things a little bit more like home. Let’s get things started. These are the items you don’t want to leave home without. The items on this list will prove useful in almost every camping situation. Furthermore, they are the basics for a comfortable and safe camping experience. Good, dry sleep and a way to prepare food are the hallmarks of a relaxing adventure. Therefore, this list deals primarily with those things in mind. This is probably the number one piece of gear that you’ll want to have. Regardless of the season, this is one of the essentials. Although it is possible to sleep under the stars with just a sleeping bag, in most situations we don’t recommend that. Bugs and weather are just two of the reasons a shelterless sleep should be avoided. Choose a tent that fits all the people using it comfortably. Always over estimate the space you will need. Nothing is more uncomfortable than trying to cram too many people into a tent. Additionally, make sure to pack a tent that is geared for the conditions you’ll be seeing. If there is a chance of rain, bring a tent that has a fully waterproof tarp and flooring. A good sleeping bag can’t be overestimated. Next to a quality tent, this is one of the most important pieces of gear to bring along. A solid sleeping bag can cost you a pretty penny. That said, something decent that keeps you warm should suffice. Again, the conditions you’ll be in, determine the type of bag you should pack. There are sub-zero sleeping bags that will most likely be overkill for your trip. Get something standard but warm, and make sure the weight is not too much of a burden. This will assist greatly if you’re moving from one camp ground to another on your trip. We’ve all rolled up a pair of pants to use as a pillow. This works, but it’s not the most comfortable. A good travel pillow that doesn’t take up much room helps you wake up refreshed. If you’re uncomfortable all night, your sleep will suffer, and your trip will be no fun. There are inflatable pillows that take up almost no space and are quite comfortable. Next, make sure to pack a good quality flashlight and extra batteries. A ThruNite or EdisonBright model are a great place to start. Don’t rely on cheap pen lights or your phone for lighting. This will be frustrating and dangerous if you do any night walking or hiking. Get a good model that floods the immediate vicinity with light. You’ll be surprised how dark it can get when you’re away from the city. A good and reliable fire starter is always a wise thing to carry. This doesn’t need to be a Bear Grylls style flint. A simple lighter will suffice. That said, this is something you need to have dry at all times. If your conditions will be wet, bring along a flint fire starter just in case. These Ferrocerium rod and metal strikers are not susceptible to moisture. If you can’t get a campfire or stove going, your trip will end very quickly. A strong and lightweight backpack is an important thing to have. First, for carrying your gear for the trek into the woods. Second, after you setup your campsite, a good backpack can be a valuable companion on day trips. Bring one that has enough room for your essential gear, a bottle of water and some snacks. A good pair of hiking boots are worth their weight in gold. You might not be doing any serious climbing on your trip. Still, wandering around a campsite with sneakers is not the best idea. There are sticks and debris on the ground that could cause cuts and falls. A solid pair of boots will help tackle difficult terrain. These can also get expensive. You don’t need the latest and greatest boots built for military activities. Just something that will support your ankles and help to cushion your feet against branches and uneven ground. Even though the weather might be hot, you’ll want to bring a pair of long pants. Jeans are not ideal. If they get wet, they take a long time to dry and are very heavy. Choose a warm pair of hiking pants that are not too baggy and can stretch when you move. There are pants available specifically for this occasion. They will be comfortable when walking and quick drying if wet. For hot days you’ll want to have a pair of shorts. You can also use these for swimming, so get something lightweight that will dry quickly when hanged. We don’t recommend using shorts for hiking and day trips. Poison oak, as well as rattle snacks and other dangers, can be staved off by having your ankles covered. Keep them around for relaxing at your campsite or near the swimming hole. The dangers of a strong sun are well known. Always pack a sunscreen that says “broad spectrum” on it and has an SPF of at least 30. This will be suitable for most situations and will prove invaluable during long sun exposure. Although many sunblocks advertise being water resistant, it is a good habit to reapply after swimming. This is an obvious one, but something that is often overlooked. Choose a well-insulated bottle that covers tightly. Also, you want one that can store at least 24 oz of liquid. You’ll be surprised how fast your water supply can dissipate during hikes on warm days. Stay hydrated. This is of crucial importance. Once you’re mouth becomes dry it is already a sign that you are not getting enough water. Don’t wait until then. On hot days, swig your water every few minutes to maintain good hydration. Note: We haven’t talked yet about bringing food with you. If you’re bringing food that must be cooked, then the cooking items listed below are considered more essential. You’ll want to bring any soap, toothpaste and toilet paper you might need on your trip. Additionally, any medications and health products should also be packed. Depending on which campsite you choose, you may or may not have access to these things, so pack accordingly. Some campers bring food that is ready to eat. That said, most people look forward to meat or other cooked foods. Having access to a fire or stove makes camping that much more rewarding. As a note of introduction, make sure meat products that are raw are kept well refrigerated. If you’ll be waiting to cook the meat you’ll bring, an ice cooler is necessary. Though we didn’t include it on the list, pack accordingly. You’re chosen camp site might be equipped with free standing or ground grills. Others might include a fire pit. If there is a grill, you’ll want to bring your own coals and kindling to get the fire started. Make sure you bring enough for multiple fires if you’ll be there awhile. If you’ll be building a camp fire, you’ll want to have a grill to situate over the fire. Four legged grills can be purchased and happen to be pretty affordable. Make sure the grill can be stood high enough from the fire, so your food is not burned before cooking. You’ll also want to bring along at least one cooking utensil to turn the meat as it’s cooking. You don’t need to bring a whole kitchen set, but one good pair of tongs should work fine. Paper plates and plastic silverware will also come in handy. Or, if you’re more of an environmentalist, reusable metal cutlery works great. A multi-tool or knife such as a Kershaw or Leatherman is always a good thing to bring. In a pinch, you can prepare food for cooking with these, in addition to having a handy tool if emergencies arise. It is a good rule of thumb to bring one of these trusty gadgets with you whenever you venture into the wilderness. We could have put this on the essentials list, but if you’re on a short trip it’s not entirely necessary. That said, for more than a couple of days, you will probably want at least one change of clothes. Though not essential, this is a wise thing to pack. If someone gets a cut or scrape from a hike, you’ll benefit from being able to clean and bandage a wound. For those wanting to pamper themselves and make things a little more like home, we’ve included some creature comforts here. The following items will definitely take the edge off, and have you resting a little easier. For longer trips, these creature comforts will provide added enjoyment. To take the harsh impact of sleeping on the ground off your back, pads or mattresses come in handy. 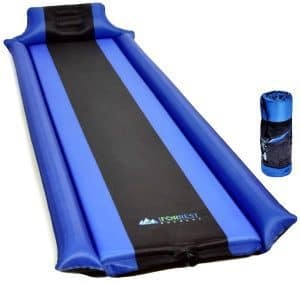 Especially for those with back problems, a good support under your sleeping bag can make all the difference. Though they take up a little more room when packing your gear, after your first night in the wild, you’ll be thankful you brought it along. You could rough it around the campfire cross-legged. Or, you could have the whole family reclining on some very comfortable camping chairs. Compact enough to be packed easily, these folding chairs offer a way to gather the group around the fire comfortably. Though we didn’t include these on our essentials list, for families, it makes a big difference. Flashlights work great and are an essential piece of gear. But, lanterns create a homey vibe and can help illuminate night walks or the interior of a tent nicely. Many models available, have impressive battery capabilities. One lantern per tent makes sense, especially on longer trips where you might be doing some reading. For those wanting the convenience of a portable kitchen, a portable gas stove is a great thing to have on hand. With connectable propane tanks, these portable units can cook up a storm for the whole family. If you don’t want to build a fire every time you eat, this is the way to go. What’s more, many campgrounds don’t include a grill. If you’re venturing into one of these more remote areas, the gas stove is vital. For colder climates or winter trips, a tent space heater can provide a cozy night’s sleep. 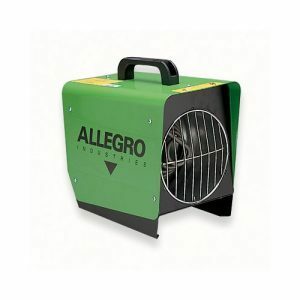 Small enough to keep a low profile, these portable heaters offer impressive amounts of heat. When the campfire dies down, you’ll be glad you brought the tent heater along. 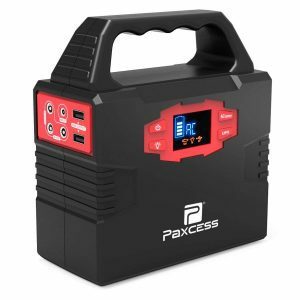 In a modern age, where smart phones and devices are never far, a portable power supply might be in order. Keeping one of these on hand, fully charged, is also a safety precaution in case you need to access a phone or computer. For those wanting the ultimate comfort, and to take off the strain of uneven terrain, a hammock tent is a great addition. If you’re camping in a forested area, you can hang from the canopy rather than brave it on the ground. We hope this guide has helped you to piece together a basic checklist for your next camping trip. We definitely have not added all the items you could bring with you. Our goal was to cover the basics that are common to all trips. Feel free to bring whatever makes you feel more at home. The point is to connect with the wilderness but to also have fun. Leave a small footprint and relax into your environment. See you on the trail.